You are currently browsing the tag archive for the ‘Neptune’ tag. In the Northern hemisphere today is the summer solstice—the longest day of the year. 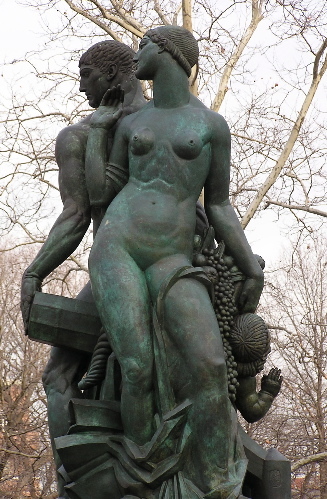 Here in Brooklyn, the Saturday closest to the solstice (which, this year, happens to also be the solstice) is the occasion of the Mermaid Parade, a great festival to Neptune, the Roman god of the ocean. Revelers gather in Coney Island which is a famous beach by the Atlantic Ocean. Artists, mummers, and lovers of the ocean dress as sea creatures, mermaids, and oceanic beings and parade down Surf Avenue before proceeding through Luna Park and to the beach. As a Brooklynite, I thought I should likewise celebrate Neptune and the glorious beginning of summer—which I am doing by showing one of my paintings. 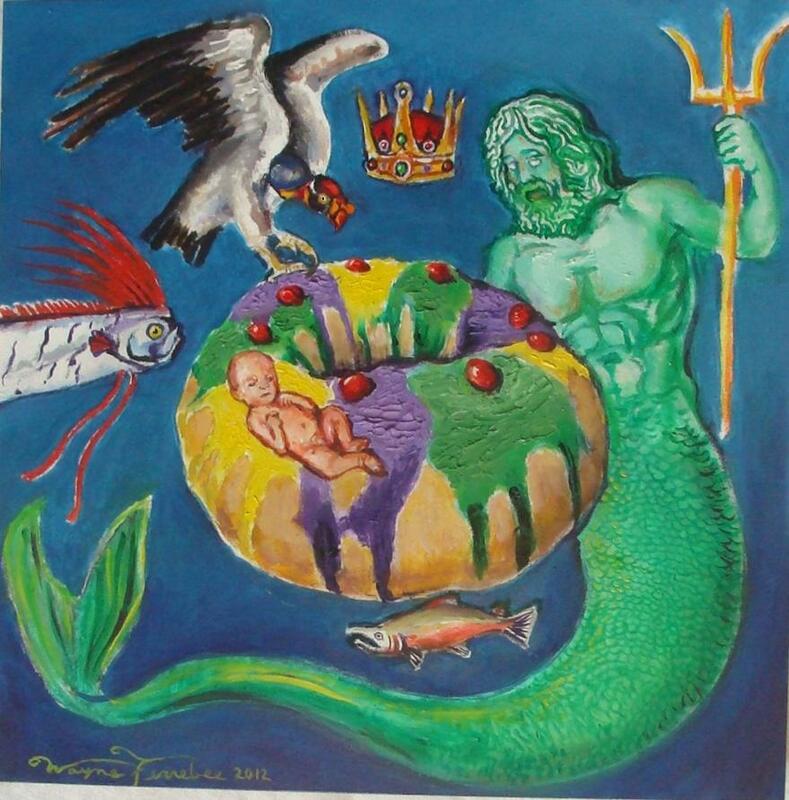 The title of this work is “King Cake” and everything you see is some sort of king. 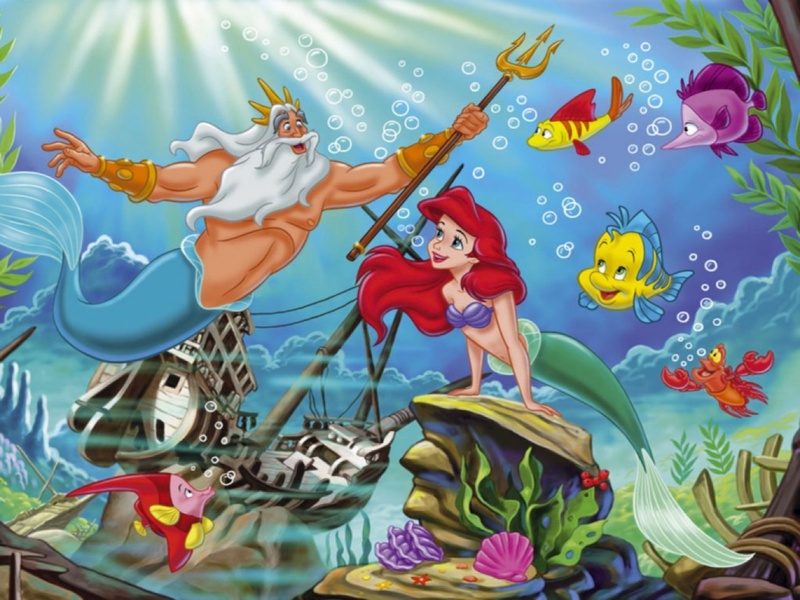 There is King Neptune, a king salmon, the king of herring, a king vulture, and a princely crown. The colorful torus-shaped cake is known as a king cake, which is eaten down south during carnival season. When the cake is consumed, the person who receives the piece with the baby baked inside is given a golden coin…or maybe sacrificed to the ancient gods (depending on one’s denomination and traditions). 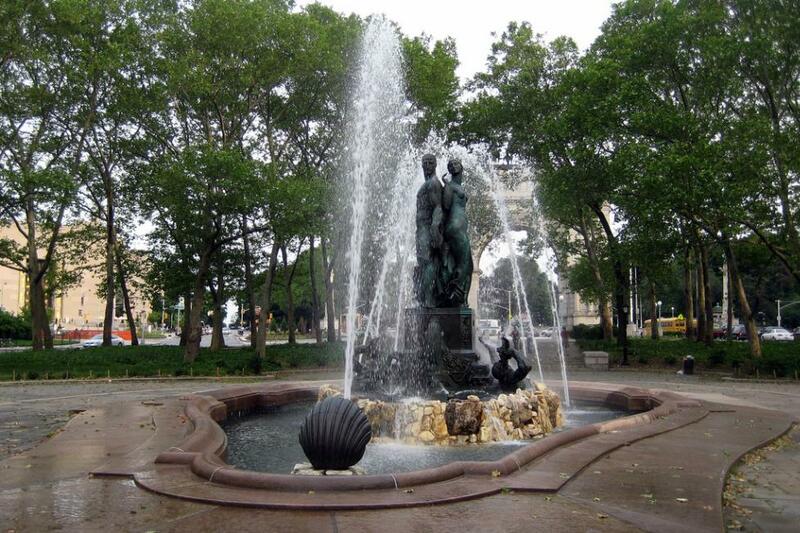 Carnival and Mardi Gras are not celebrated in Brooklyn: instead we have the mermaid parade on the summer solstice! Hail Poseidon! Hail summer! 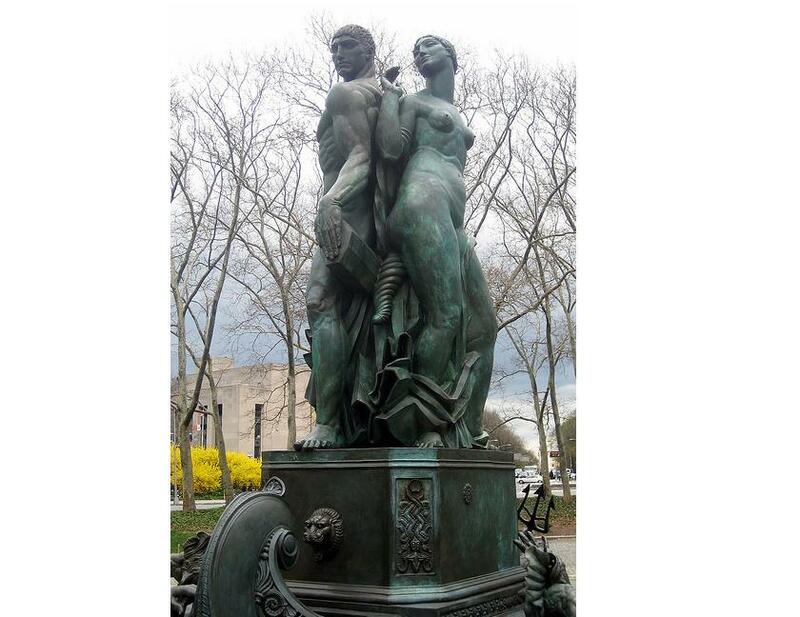 Triton (the moon) and tritons (the gastropods) are named after…Triton, a Greek sea god who was the son of Poseidon (king of the sea) and his wife Amphitrite (herself a daughter of the ocean titans Nereus and Doris). 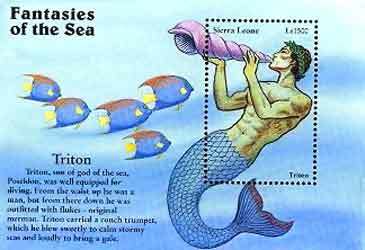 Triton was portrayed as a mighty merman who carries a musical conch with which he calms the seas…or whips them into a frenzy. 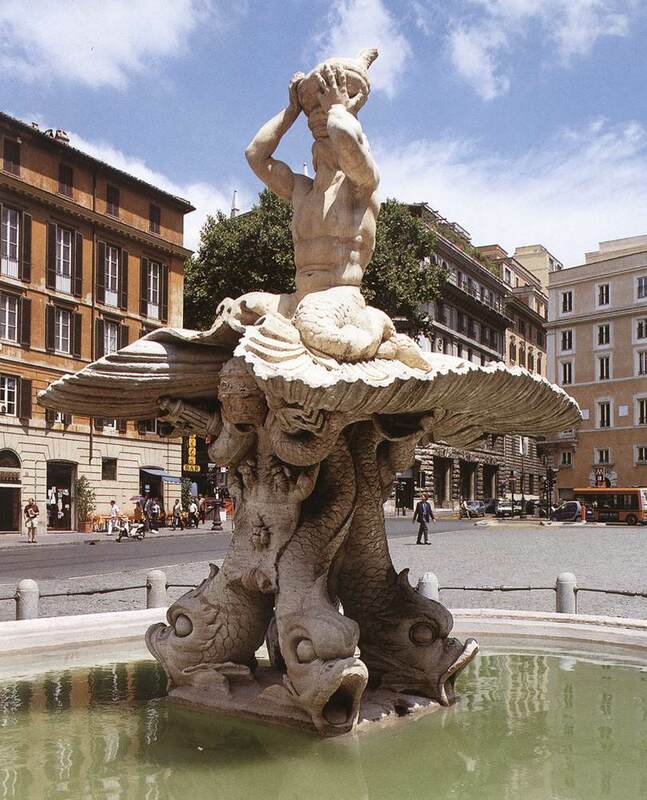 Triton lived with his parents in a golden palace beneath the waves (according to Hesiod). 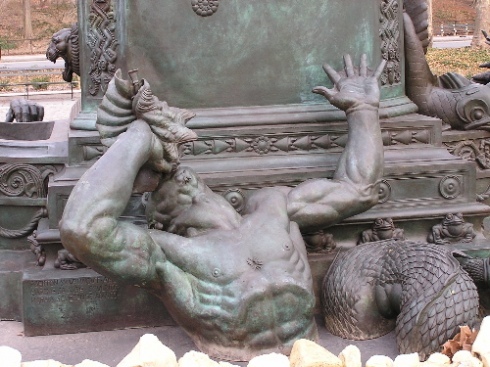 He has a few cameo appearances in classical mythology (most notably in the story of Jason and the Argonauts) but he is generally overshadowed by his mighty father. 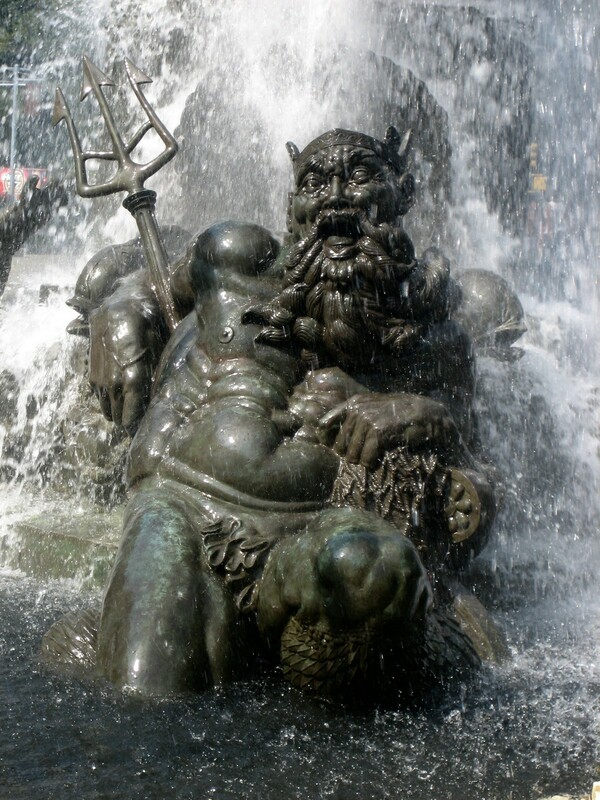 In late antiquity and the Renaissance, Triton came to be a sort of progenitor of mermaids and mermen (a role which he occupies in Disney’s “animated film The Little Mermaid”). 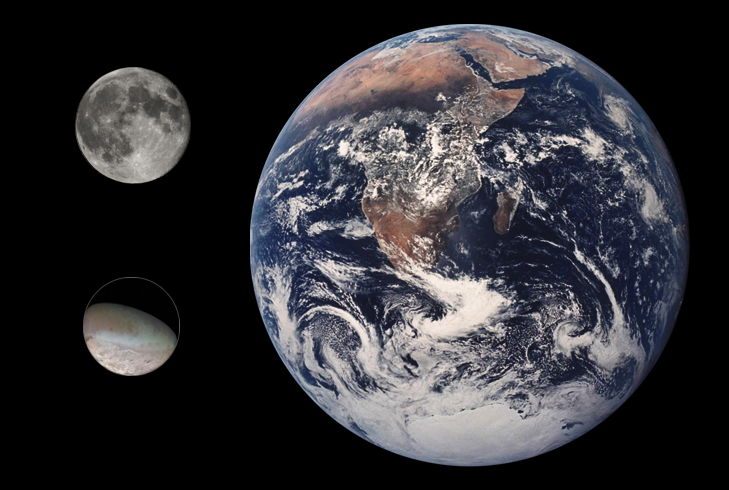 Geologists know that oceans and seas are indeed ever-changing and protean. 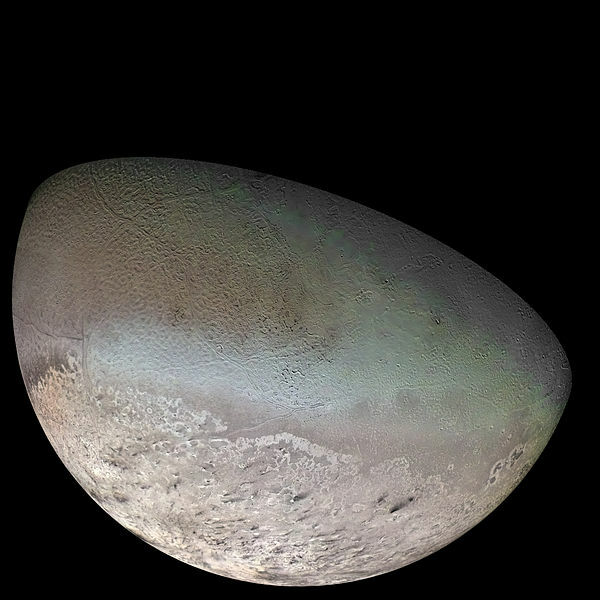 Whenever I think of Triton, I imagine how the oceans of the world will be entirely different in a few hundred million years (just as today’s oceans are no longer the Tethys or the Panthalassic Ocean). 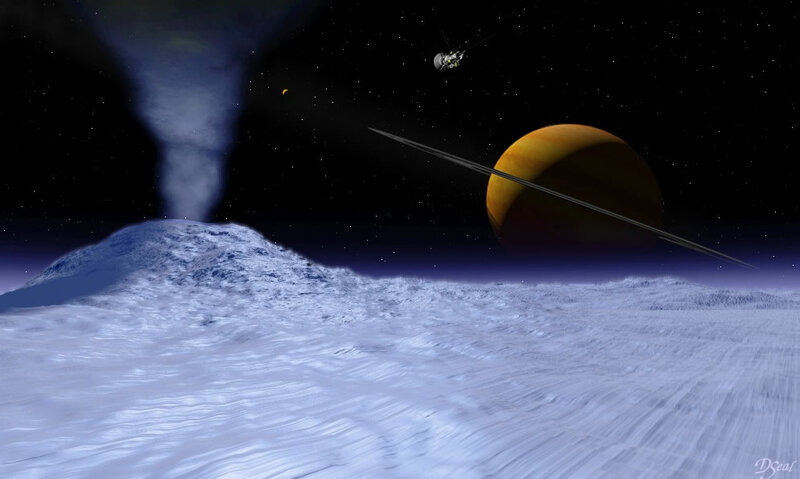 Neptune’s reign will end and the oceans and seas will change–and yet they will really be the same great world-sea as they have been since the beginning.